She casually flies onto the scene, and as she descends to the ground, we can tell this ain't no ordinary lady. She comes to a stop and stoically places her fist on her hips. When she turns and we see her eyes we can tell she means business, but it isn't until we see the "S" shield on her chest that we are finally able to put things together. We probably should have guessed with the whole flying part and all, but this lady is Supergirl. And this time she's eschewed the typical spandex get up in favor of a much more comfortable attire selection. She's got a really sweet t-shirt! 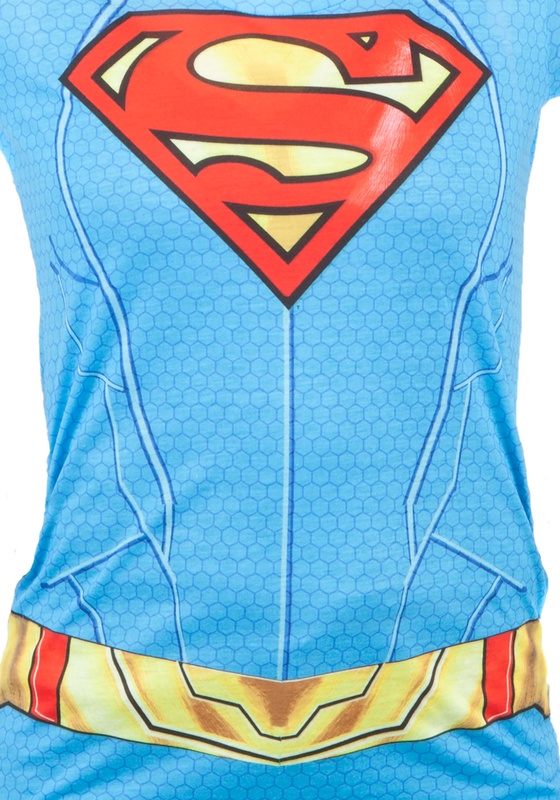 This shirt still has a cape (again, that should have been a telltale sign of who was approaching) and this cape is even handy dandy removable. 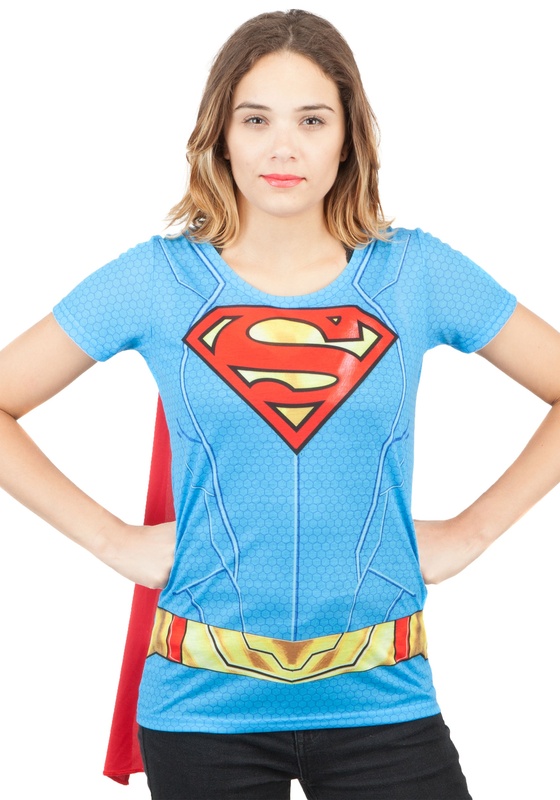 With armor printed details, logo, and belt; it has style touches worthy of the Girl of Steel herself. But it's available for you—yes—regular old plain Jane you, to use as a costume or to use for everyday fan style. Wear this number with your favorite pair of jeans and by the end of the day we're sure you'll come to the same conclusion as she did—this spandex thing is terribly overrated! 100 percent polyester shirt features sublimated armor print along with graphic printed logo and belt. Classic women's cut with scoop neck and tapered waist. Cape secures and detaches with hook and loop fastener. DC Comics licensed and ready for the every day hero!